An almost complete map was made of the health of the plankton around Northland, New Zealand. It began with a batch of measurements that were not temperature-stabilised and ended with a batch of which also complete degradation was measured by adding alcohol as bacterial fuel. The original data is presented, including complete decomposition curves. The measurements took place in autumn between 7 February and 7 May 2005. This is the first map made with the DDA while the method was not fully optimal. Although RoA values will remain as they are, and all data is adequate for comparison, the hion biodensities shown may need to be adjusted for most cases. During late summer and autumn of 2005, the quality of the sea was measured with the Dark Decay Method (DDA) around Northland, the densest populated area of New Zealand. The city of Auckland straddles its narrowest isthmus, between the Waitemata Harbour on the east and the Manukau Harbour on the west. Auckland has 1 million inhabitants, whose (treated) sewage is disposed of mainly through the Manukau Harbour where it enters the sea, diluting quickly from 160 to 100 hion . Some of Auckland's sewage is discharged on its east coast into the inner Hauraki Gulf where it mixes slowly with oceanic water. As a result, biodensities on Auckland's east coast are rather high, ranging from 80 to 130 hion. Further north the (treated) sewage from 30,000 inhabitants of Orewa is discharged at the tip of the Whangaparaoa Peninsula. Just south of the Manukau Harbour, New Zealand's largest river, the Waikato River, enters the sea through a long estuary, rich in water fowl. The Waikato River begins at Lake Taupo in the centre of the North Island, traverses many hydro lakes and finally flat dairy country and the city of Hamilton with over 100,000 inhabitants and its corresponding wastes. At Tuakau, just before it mixes with salt water, the river's biodensity is very high (238) and its rate of decomposition (RoA) also (100). As a result, in its estuary where it mixes with salt water, it exchanges biodensity for free nutrients. This process continues in the sea until biodensity settles at about 100 hion (nutrients are invisible to the DDA). The north of Northland is very sparsely populated and consists of ancient dunes and modern beaches. To find maximum biodensities of 100-130 hion here, cannot be explained from the runoff from the land. We postulate that the nutrient-rich waters from Auckland and the Waikato curve around North Cape, flowing southward along the east coast. Very high biodensities are now found down to the Poor Knights islands where massive degradation has been observed between 2001 and 2005. In the open and deep waters surrounding the Poor Knights Islands, a remarkably dense layer was found, with correspondingly high rates of attack but depth profiles showed normal values in the water underneath. We observed unusual degradation in the shallows there. North of the large Kaipara Harbour, a tongue of clear blue water was found with low RoA and biodensity, presumably overlaying the olive-green water of Auckland's west coast. Further north along the west coast of the Far North, the dirty water returned, together with high RoA and biodensity values. In reading the rates of attack (RoA in red) and biodensities (in green), it may help to understand that there exists a relationship between plankton density and underwater visibility. Phytoplankton reaches a maximum density between 4 and 6 metre viz corresponding to about 90 hion. At around 10m viz where biodensity measures half the maximum (about 40 hion), decomposers may suddenly take over, causing also a sudden increase in biodensity. Thus biodensities exceeding 90 hion are almost certainly attributable to decomposers which in sunlit areas reach a combined maximum of around 130 hion. The curves shown here serve to illustrate what happens on average, but the actual composition of plankton assemblages is also important. Note that salinity is critically important as fresh water can accommodate much higher biodensity. power plankton: characterised by a broad flat initial shoulder with very little chronic decay, followed by very rapid decomposition, typically measuring 5/40. It is also characterised by a higher than normal initial pH (typically +0.1). None of the measurements on this page show powerplankton. healthy plankton: low RoA and healthy amounts of plankton: 6/40 to 5/20. sick plankton: RoA between 7 and 20 and densities between 40 and 100.
killer plankton: RoA exceeding 20 and/or densities exceeding 100. Very few organisms survive here. Note also that the DDA method provides only a snapshot in time and that all measurements on this page were done in the autumn when water quality is at its best. one hion unit is the biodensity (biomass per litre) corresponding to 1 ppb hydrogen ions decomposed, as measured with a pH meter. The inner Hauraki Gulf contains very dirty water with high nutrient loads and dense plankton. Treated sewage is discharged at Whangaparaoa (sites LAB), the East Coast Bays (CD) with occasional spills of untreated sewage. This expedition was done in a period of unusual calm weather, and also during a neap tide. The DDA method had not been stabilised, hence the flat terraces in the curves caused by the cooler nights. The red rectangle to measure rates of attack with, has been stretched to approximate decay had temperature been stabilised at 27ºC, but this has been judged unreliable for inclusion on the summary map. The curves suggest that three water masses or plankton assemblages are found, corresponding to the clearer waters (GHIJ) and the inner Hauraki Gulf (CDEF). The sample from inside the Gulf Harbour marina (A) shows an ingress of sewage. Note that site F is the recently declared Te Matuku marine reserve, which has a highly degraded environment with very poor water quality. The waters sampled here show high quality with low biodensity in a patch of blue water between Little Barrier and the mainland. Another patch of clean water is represented by sites OPQ. Sites HIK have similar water qualities, while J and N are expected to be poor, but Goat Island (G) has worst water quality of all. In recent time, massive degradation has been observed at Goat Island marine reserve perhaps because of an excess in seaweeds now dying due to a lack of herbivores. There is also a plague of brown fluff, a highly poisonous dinoflagellate mat. Notice the flat shoulder of site M where we saw brown water mix with blue-green water but the curve does not have the steep drop-off that is so characteristic of powerplankton. These measurements were done before temperature stabilisation and before a standardised measurement schedule and thus serve for comparison only. The results have not been included in the summary map. The measurements shown here were fully temperature stabilised and standardised. This 250km round trip attempted a long transect from Te Arai Point jutting out from a long sandy ocean beach, towards the Mokohinau Islands and beyond to the territorial boundary (IJLM). Surprisingly, the quality of the water found at the Mokohinau Islands (The Mokes) had high biodensity and RoA (12/79) compared with Leigh Harbour (15/78), both showing a flat elbow from day 5. This could mean that their eventual biodensities would be much higher had alcohol enhancement been used. The curves suggest a gradual mixing of Hauraki Gulf water with the cleaner water found outside (M). Even so, the water found around Great Barrier has its own characteristic (SRQP). Depth stratification measured at J and M (see further below), show that the water is quite evenly mixed down to 40m depth, particularly at site M where the bottom depth was 50m. It may be interesting to know that we observed a strong current at 40m, shearing the 30m isocline. No thermoclines were observed. This long expedition saw a remarkable mix of waters and it gave some surprises too. Beginning in Tutukaka Harbour, the water showed the RoA and biodensity typical of an ingress of raw sewage (35/233) which restricts underwater life considerably. Surprisingly we found a similar water quality at the Poor Knights (45/303 at site A, near Rikoriko cave). Fortunately we also carried out a depth survey which identified a shallow surface layer to be the cause. However, none of the three sites measured gave values for healthy plankton (U=48/86, V=48/123, A=45/303) and a similarity with near-coastal Tutukaka harbour entrance can be seen. In recent times we have observed steep degradation at the Poor Knights, particularly in the shallows. These values make more sense when viewed together with the prograding Seafriends aquariums. Ironically, the healthiest water was found at the coast between Matapouri and Mimiwhangata (sites EFG). We made a special effort to include Danger Rock where often strange upwellings occur. As can be seen from the graphs it stands out, but unfortunately the samples were spilled during testing. Along the anchor chain we took samples at depths of 10, 20 and 40m in only three places. Although visibility for these three places was rather disappointing for this time of year (A=13.8m, B=16m, C=15.7m), plankton density was surprisingly evenly spread down to 40m and possibly even deeper. Surprisingly, the Poor Knights had much higher densities (92-107 hion) compared with the half-way point between Te Arai and Mokohinau (site B=50-60 hion) and the territorial boundary (site C= 33-52 hion). These densities cannot be explained from the runoff from the land or from upwellings. The Far North measurements shown here were all done by car such that there exists a strong need to get data from further out in sea. Very high RoA and density was observed in the Kerikeri inlet near Te Tii (37/129) which we classify as killer plankton. Similar density but with substantially less chronic decay (25/141) was encountered in Whangaroa Harbour, once very rich in fish and other life but now suffering from high levels of degradation. However, oysters tolerate these conditions. By comparison, Parengarenga Harbour (site O) combined medium decay with high biodensity (16/96), similar to the Rangaunu Harbour (site K with 11/128) and Mangonui Harbour (site I with 8/108). In these three places young fish were found, energetically feeding on zoo plankton (jack mackerel, parore, piper). A substantial difference in RoA was found between west coast sites P (11/103) and Q (20/108). West Coast waters are plagued by heavy sediment and nutrient loads from the Waikato River, the Auckland sewage works and the northern branch of the Kaipara Harbour. 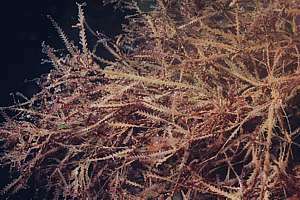 Decomposition rates are high and biodensities about the maximum that sunlight can maintain. Even so, there must be an excess in unused nutrients so high that the water can spread far out to sea and along the coast while retaining high biodensity (100-120). We postulate that this water flows north, around North Cape and then back south again and that its furthest boundary now engulfs even the Poor Knights Islands. Our measurements show that this is more than just a possibility. Note that all measurements shown here were done by car, from the shore. There are three distinct classes of water: the Manukau water flowing northward (LKMO), mixing with the water from the Kaipara Harbour (PQ) and a tongue of blue water descending and overlaying the colder brown-green water (EF). Inside the Manukau Harbour very high decay and biomass are found, even though the excess nutrients were not measured. The Waikato River enters the sea through a narrow estuary. The inflow was measured at the Tuakau bridge after a long period of no rains with a moderate biodensity but very high decay (site O=100/238). Inside this estuary the fresh water mixes with salt which makes it less solvent. Whereas fresh water of pH 7.5-8 can carry a high biodensity in plankton, salt water is limited to about 90-100 hion. All freshwater plankton dies and becomes decomposed. Saltwater plankton grows from the available nutrients but excess nutrients remain. At Port Waikato (site N=17/126) about half the nutrients have been converted. As the water flows north at maximal densities (P=31/111, Q=23/93) it remains very sick (R=15/107, S=16/137, T=14/107). Interestingly we measured high initial pH and salinity at Orua Bay (site R) of 8.33 at 35.3 ppt salinity. Please note that each batch of samples represents only a snapshot in time and because they were taken in autumn after an unusual period of calm and dry conditions, may represent the most favourable situation. Much more sampling needs to be done. ref: vial reference. The letter used on the graphs. northing: northing co-ordinates from topographical maps or GPS. Sometimes latitude at sea. easting: easting co-ordinates from topographical maps or GPS. Can also be longitude at sea. viz: visibility measured in metres using a disappearing white object, such as a secchi disc. When placed inside brackets, it is an estimated value rather than measured. ipH: initial pH measured immediately after mixing the sample vials. 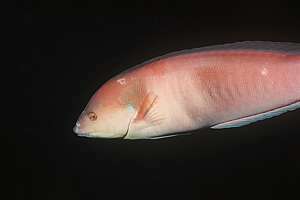 bio: biodensity expressed in hions. RoA: rate of attack measured over the first 48 hours in hions.